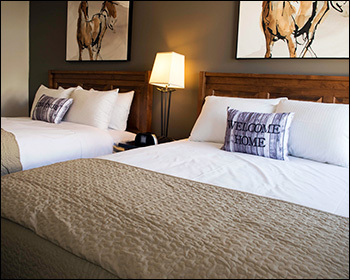 Banff Boundary Lodge features condo-style, fully self-catering suites in a private atmosphere and wonderful views of the Bow Valley. 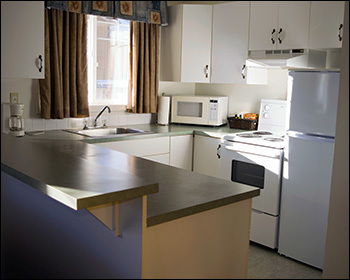 Located just off the Trans-Canada Highway, the lodge provides guests with easy access to the neighboring communities of Banff and Canmore as well as the attractions and activities in the area. 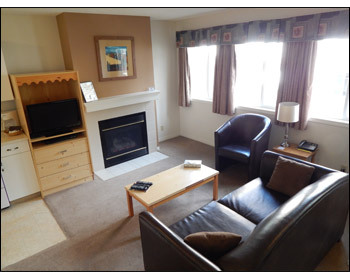 All suites at Banff Boundary Lodge are equipped with complimentary wireless Internet access. Complimentary parking onsite is available. One complimentary parking stall is provided for each unit. 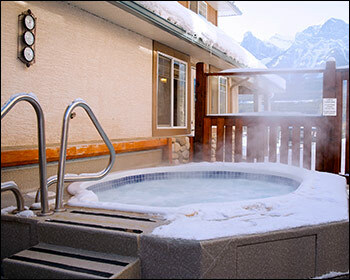 Banff Boundary Lodge is located 5 km west of Canmore. Banff Boundary Lodge is located less than a minute from the Banff National Park gates and 15 minutes from the Banff town-site. We are pleased to offer a smoke-free environment. Smoking is not allowed in suites or in any public places on the property. A smoking area is available on the far side of the main building. Please dispose of cigarette butts in the ashtray provided here.